We’d love your help. 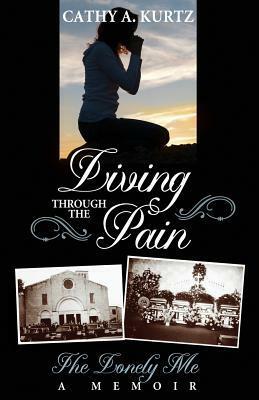 Let us know what’s wrong with this preview of Living Through the Pain by Cathy A. Kurtz. To ask other readers questions about Living Through the Pain, please sign up. I got to thank God for giving the strength to Cathy to write this book, because we would have missed a really inspiring story. When you think that the worst happened in your life and you realize that Destiny have chosen that it can get even worse ... I don't know how it feels but Cathy got all my admiration. We got to live the moment, appreciate every little things of life because we never know when it's gonna be taken from us or when it gonna be our turn to go find God upstairs. Thanks Cathy for I got to thank God for giving the strength to Cathy to write this book, because we would have missed a really inspiring story. When you think that the worst happened in your life and you realize that Destiny have chosen that it can get even worse ... I don't know how it feels but Cathy got all my admiration. Thanks Cathy for the giveaway and for opening yourself to us like this. I really appreciated the signature and the blessings. Happy life to you and God bless. Beginning with a satisfactory introduction and quickly getting to the heart of the main source of pain for Cathy, is enough to draw the reader in. Read full review in the 2015 Holiday issue of InD'tale Magazine.